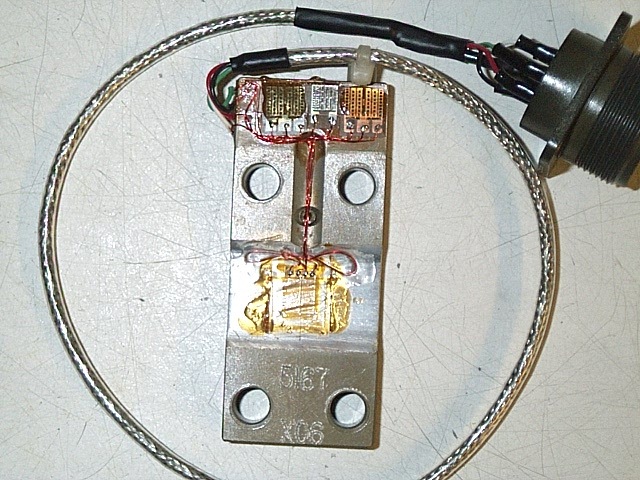 COUNTER-BALANCED OR COUNTER WEIGHTED LOAD-CELLS, WEIGH-CELLS, AND SCALES. The heart of accurate high speed industrial weighing applications by ADVANCE WEIGHT SYSTEMS, INC. The ADVANCE WEIGHT SYSTEMS, INC. line of rugged industrial Weigh-Cells (scale base) is among the most reliable and accurate available. Constructed of aircraft aluminum alloys, and fully assembled in our factory, they are well suited for any industrial production weighing application. We manufacture three basic lines of Weigh-Cell, each particularly suited to a specific type of application. All ADVANCE WEIGHT SYSTEMS, INC. Weigh-Cells are designed and manufactured in our factory. An integral part of the scales and systems we manufacture, their reliability has been proven by major OEM scale and weighing system manufacturers. The AWSI-200 series Weigh-Cell is for weighing products at the extremely light end of the weighing spectrum. These weigh-cells have been used to check-weigh parts with a total weight of less than one Gram, and a setpoint of ±0.05 Gram. The AWSI-300 series Weigh-Cell is particularly well suited to applications where large on-scale equipment (conveyors, feeding hoppers, etc.) is present and needs to be counterbalanced out. More than 200 pounds of this tooling can be present; and the weigh-cell will still be able to weigh with an accuracy and speed that other production weighing systems can only talk about. The Type 300 Weigh-Cell is particularly well suited for for loss-in-weight applications and in-motion weighing, (conveyors). The AWSI-400 series Weigh-Cell is for a high volume production environment where medium loads are impacting on the scale with a force that would damage or destroy a less durable unit. Extra heavy-duty overload stops protect the weigh-cell and enable the unit to deliver the accuracy, speed, reliability, and repeatability that are the hallmark of ADVANCE WEIGHT SYSTEMS, INC. Weigh-Cells. We manufacture both custom load cells, and a basic line of Load-Cells, each particularly suited to a specific type of application. All ADVANCE WEIGHT SYSTEMS, INC. Load-Cells are designed and manufactured in our factory. They are an integral part of several of the scale lines we manufacture, their reliability has been proven by major OEM scale manufacturers.